After watching the election as much as I could, I am reflecting about the outcome and what to do next. Obviously for some there is great contrast, for others they have created what they wanted. Either way, through this election we all have had moments of contrast and clarity. So in Essence of Being, we speak of contrast as what we do not want. When we are experiencing contrast, we are gaining clarity of what we don’t want which leads us to what we do want. Once we have clarity, that leads us to power of thought, direction, and focus. Once we are clear, we have the opportunity to create what we all want. What I have noticed through my teachings around the world, one thing is clear, every person wants to be free, wanted, loved, and know they make a difference. For those of you who made a difference in your vote, thank you. For those of you who did not vote, you made a choice and your inaction ultimately created an effect as well. It is astounding to me that only half of our voting body actually voted. I feel that in order for our democracy to work, we have to use the conventions available to us, such as VOTING. In other parts of the world, this action is not allowed and discouraged and that is unfortunate for us to take it for granted or think that we don’t matter. I know that some people feel that by not voting was a way of protesting or making a statement. I always believe that moving toward something is more productive than running away from something or not taking any action at all. Remember, in order to create an effect in the world, you have to take action and keep moving. The minute you stop moving, the less effect you have or the less value you add to the whole journey. The other unfortunate part of this outcome was the way that women still have not been seen as valuable as men and therefore have to work harder to create equality in the system. It does not matter whether or not you liked or voted for Hillary, what matters is the conversation that women are not second class citizens as they are treated in a lot of the world. 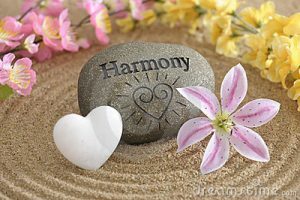 Once we all can live in harmony together and know that we all have feminine and masculine aspects in us, we can celebrate the union of being whole and complete and stand up for what is right and know that we are worth it. All of us deserve respect and love. No matter what, we as a nation and as human Beings or (EOBeings) must decide to stand out and focus on all of us and the planet in a harmonious way. As Hillary said in her speech “hopeful, peaceful, and inclusive”. As Obama said, “ unity, respect, and stay encouraged and celebrate America”. As Trump said, “ go beyond the wounds of divisiveness”. I believe that all of us must focus on what is working and how we can be inclusive of everyone and focus on creating synergy. After all, we are all on the same team, as Americans, as human beings, as stewards of this Earth.